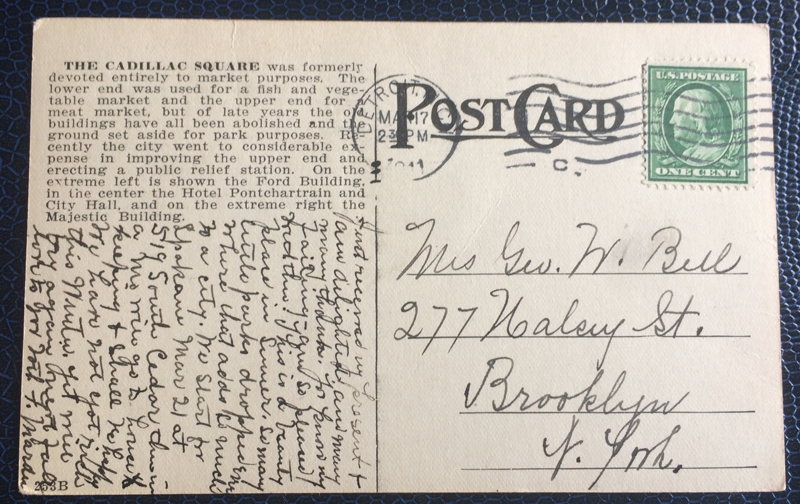 This postcard comes from Detroit, Michigan, USA and goes to Brooklyn. 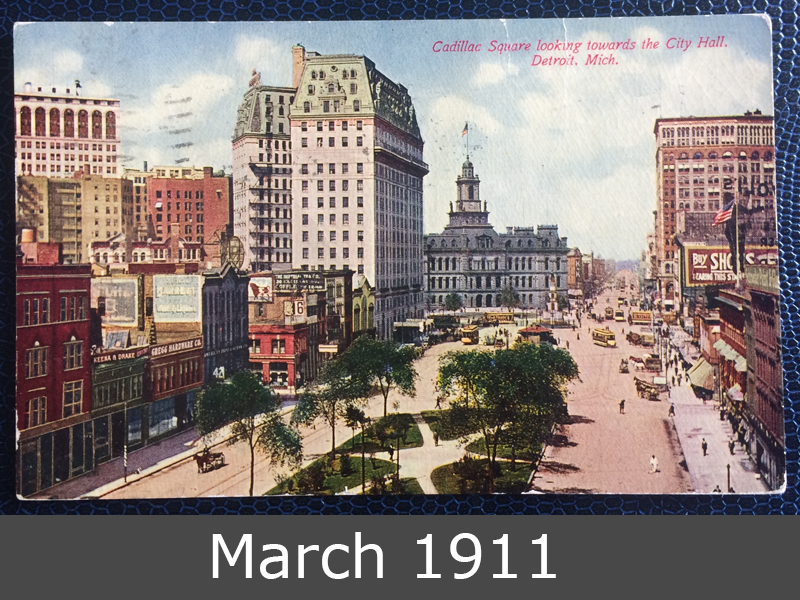 You can see the Cadillac Square in year 1911. On the extreme left is shown the Ford Building, in the center the Hotel Pontchartrain and City Hall, and on the extreme right the Majestic Building.